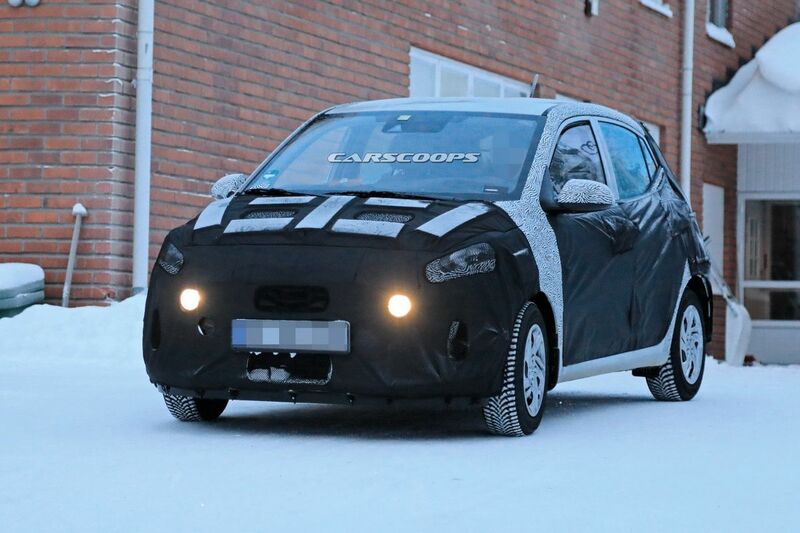 Hyundai commenced the road testing of third generation i10 last year in India and now the European model has been spotted in Sweden as part of the cold weather testing. 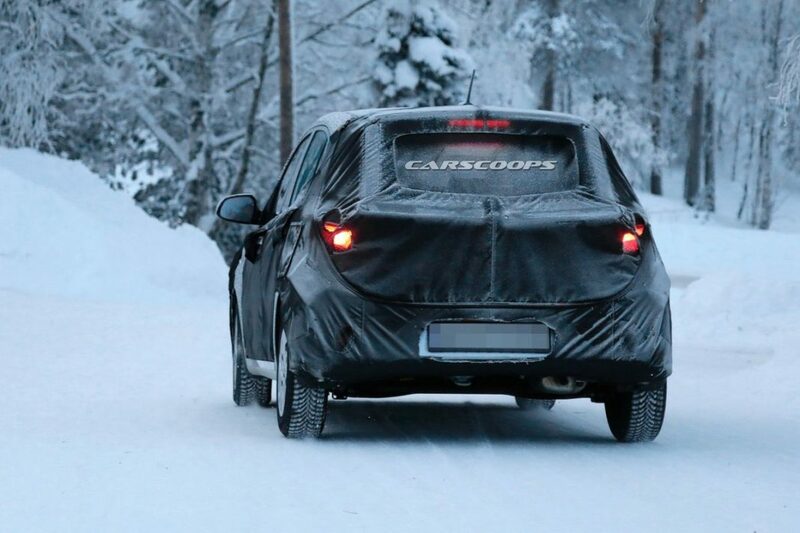 The new i10 is longer and wider than the outgoing model, which will definitely increase space inside the cabin. The European version will be smaller than the India-spec model. 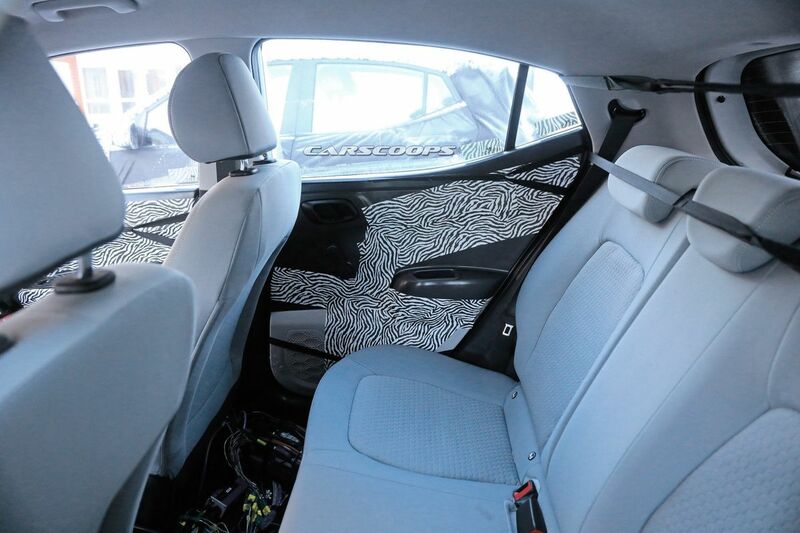 The interior of the new i10 will be completely different and it might share a similar layout of the new Kia Picanto. The centre console will get a new touch screen infotainment system and it is expected to be a 7-inch unit, which will be placed on the top of the dashboard like most of the modern cars rather than integrated into the dashboard like the current model. The AC vents are placed below the screen while the controls for the climate control are same from the current model. The company has given five buttons near the gear lever and it might be short cut buttons for the infotainment system, which will be useful while driving. The test mule spotted in India also comes with a similar design theme. The instrument cluster is new as the company has given a MID screen in between the speedometer and tachometer. We can expect the quality of materials to improve as the current generation model is so popular for its premium cabin feel. 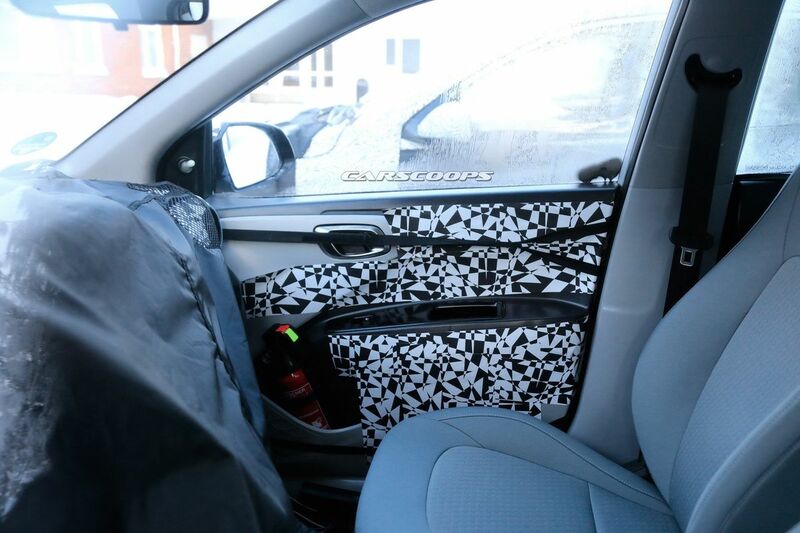 The prototype spotted come with three headrests at the rear, which suggest that the width has been increased while the door pad design is also new along with new rear view mirrors and the front seats get separate headrests. The i10 will be packed with features like new multi-function steering wheel, reverse camera, rear AC vents, electronically controlled exterior mirror, keyless entry, push-button start and more. The company will make some changes for the chassis to make it safer and we can expect more safety features to come as standard. Globally the i10 will be powered by 1.0 L inline three-cylinder and 1.2 L Kappa series engines with the option of manual and automatic transmission option. The India-spec model will retain the 1.2 L Kappa engine and some reports indicate that the company might axe the diesel model as it is not popular among customers. Hyundai will introduce the new generation of i10 in India by the festival season.